Arcadio Wharton, 13, showed his artwork to Cardinal Dolan and told CNY there is more to come. Arcadio was one of the students who met the cardinal during his visit to the Astor Services for Children and Families in Rhinebeck May 9. “He said he liked it, and I got excited when I heard him say that,” Arcadio said. Longtime Astor staff members greeted Cardinal Dolan outside. Inside, he met students and artists Paiton Wood and Arcadio before listening and asking questions in a panel discussion highlighting national statistics about mental health and drug abuse as well as what’s being done at Astor to help the children and their families. He toured the building, meeting additional staff and students, and seeing renovations being done to the residential treatment center units with assistance from Rhinebeck residents and actors Jeffrey Dean Morgan and Hilarie Burton, who are married. Astor, with locations in the Hudson Valley and the Bronx, has worked with archdiocesan Catholic Charities since 1946. It offers treatment, counseling and support to children with behavioral and emotional health issues. Astor also provides support and counseling for the child’s family. May is Mental Health Awareness Month. Msgr. Kevin Sullivan, executive director of Catholic Charities, joined Cardinal Dolan at Astor in Rhinebeck. “I often heard Msgr. Sullivan speak and brag about Astor. 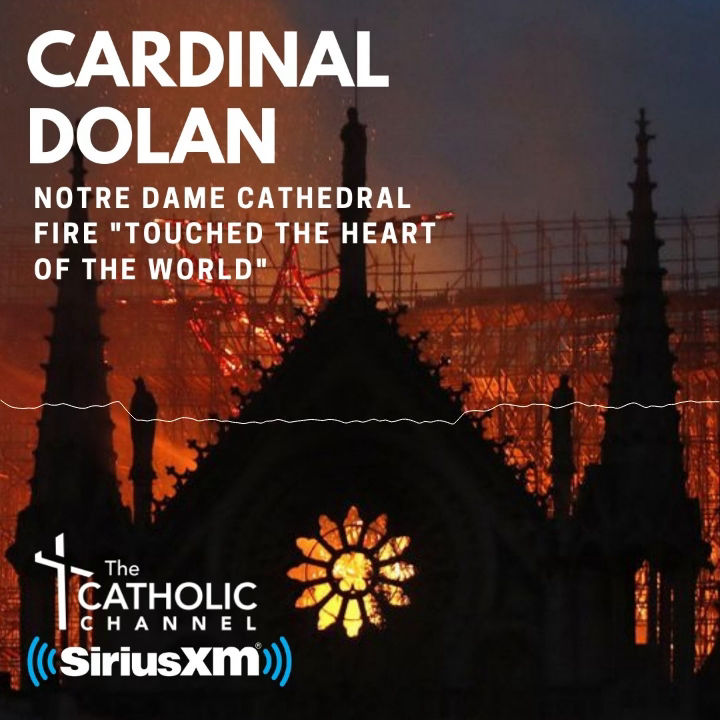 Now to be here with you is a real thrill for me.” Cardinal Dolan said during the panel discussion. Jim McGuirk, Astor’s executive director, said there are 73 students, including 55 in the residential program, at Astor in Rhinebeck. The cardinal’s visit inspired students and staff alike, McGuirk said. “It highlights their work. It gives value to what they do when someone like the cardinal is able to recognize them and talk to them. It really makes their day,” McGuirk said. Kevin Rifenburg, who has worked at Astor for 29 years, has served as expressive arts therapist for the last five months. Rifenburg is giving students at Astor an opportunity to express themselves through their artwork. He said he usually meets with students like Paiton and Arcadio twice a week for one-hour sessions. “It’s a wonderful program and we have a lot of work to do,” said Rifenburg, a parishioner at St. Christopher’s in Red Hook. “I want this program to continue and I think it’s an asset and important for these types of children to develop, grow and learn to harness or communicate what can’t be expressed verbally. Paiton said his artwork is better since he started working with Rifenburg. He had a portrait of the animated character Jeff the Killer on display. Arcadio had a painting of a sunflower and used air-dry clay to construct a hamburger on a bun with pickles on a paper plate. “I like sunflowers and food, and I thought I could do projects that describe me. It was a little challenging to work with clay but I do like to challenge myself,” he said.